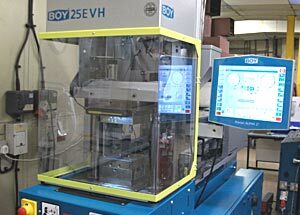 We are proud to announce a recent addition to our mould shop; we have invested in a new BOY 25 E VH injection moulding press bringing our total number of machines to 24. The machine has a 25 tonne clamp force and a perfectly balanced design ensuring that all mouldings we create are made to their best potential, in the highest quality. The new machine will help us keep up and extend the high standards expected by our customers, allowing us to maintain and improve our capabilities as well as continue our cost-saving processes. 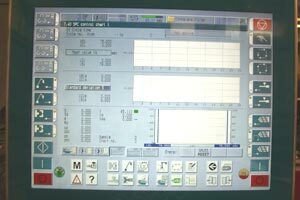 The machine is intended for small components and has a maximum volume for injection moulding of only 76.4 cm³, which can be moulded with total accuracy due to the Procan Alpha control system. This system enables super accurate and repeatable setting and recording of data for a range of metrics on every part produced. If you have any questions or have a moulding you would to discuss please contact our sales office via email: sales@inoplas.co.uk or telephone: 01202 866000.